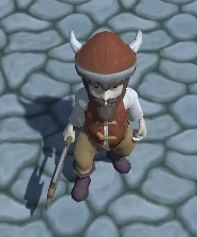 Is mostly a game with feature levels that are procedurally generated. This means your character your character death is permanent so you have to start over from a predetermined starting point fresh. So a roguelike should force you to learn its systems through the cost of failure being steep. Still some roguelike enthusiasts set out to create some guidelines. This defines a number of high value and low-level factors that go into a roguelike game. Namely, the permadeath aspects, and random environment generation are two of the key factors that go into what a roguelike is. But you’ll also find features such as games being turn-based and grid-based, or even featuring worlds that are represented with ASCII characters. Mind you, there are some people who disagree on the importance of these factors, or how they factor into the definition of a roguelike. But these factors are at least somewhat definitive of what a traditional roguelike should be. Games started popping up in the late 2000s and early 2010s that took inspiration from roguelikes without necessarily using the conventions of the genre. Some eschew the whole “start from nothing” aspect that roguelikes often have, giving players permanent progression to start out and work toward. Differently, several of these roguelike variant games became financial successes. Spelunky might prove to be the most influential roguelike-inspired game because it introduced many of the conventions of roguelikes into a challenging platformer game. Its intense difficulty wound up making the game a real accomplishment for those who could beat it – and those who could consistently do well-earned renown in the speedrunning communities. 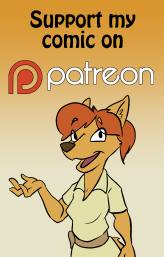 Also, please take a look at my Patreon page. I’ll be posting updates about this project there, as well as other interesting things I’m up to.